In it Annette describes the reason for writing the pattern in the first place and I found her story very touching and will think about her words every time I wear my shawl and hope that others will link to her post to share in her story. That seems to be the wonder of Blogland – people coming together and sharing via a common theme – in my case crafting, crochet in particular, but whatever your passion it is great to share it in cyberspace. There are often many reasons why we create a certain piece of work and it’s great to hear the ‘back story’ of many of them. Pot Holder in Acrylic? Not my best decision! Not Such A Pot Holder Disaster After All! 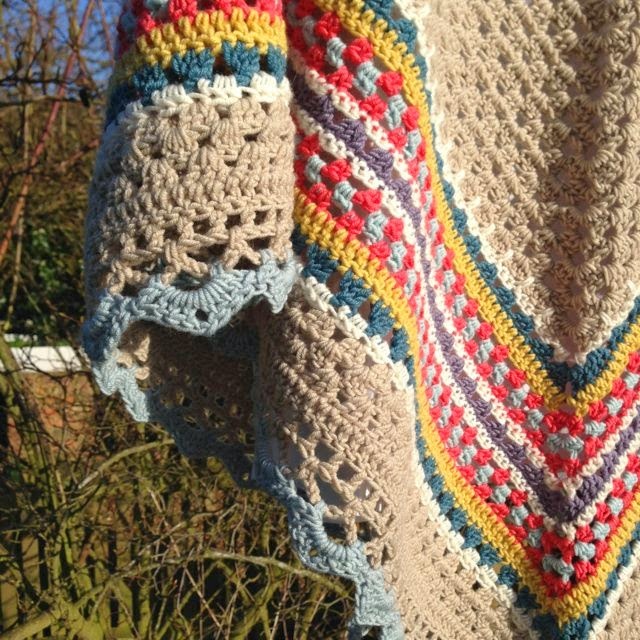 A lovely post Jane, and I have just been over to Rose Valley, read the amazing story and of course, ordered my pattern !